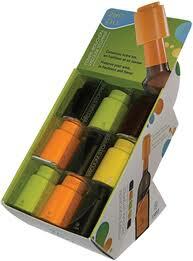 This 2 in 1 Vacuum Stopper from Ravi preserves your wine in freshness AND flavor. Compact and available in 4 colors, it's the perfect gift for your hosts. Choose between the colorful ones or the classic black.